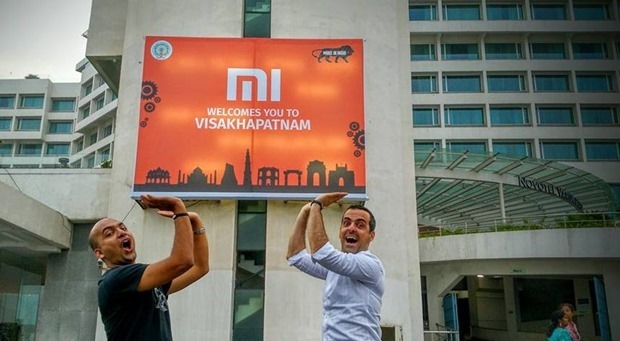 Xiaomi Planning Something Big in Visakhapatnam; A Local Manufacturing Unit? Xiaomi or Mi as it is called in India has made a splash in India since it’s arrival early last year. They have launched some great value for money phones that include Redmi 1S, Redmi Note, Redmi 2, Mi 3, Mi 4, Mi 4i and Mi Band. Even their mobile accessories have been quite popular with users. In fact, within first six months of their launch in India, they managed to sell over one million handsets. They are currently 7th largest mobile handset seller in India ahead of Lenovo and Karbonn. While Motorola started the online flash sales concept in India with their Moto G model, it was Xiaomi who have reaped rich benefits out of these single-day online flash sales. 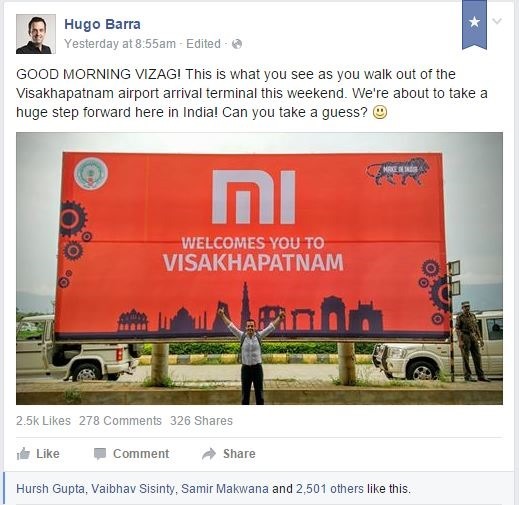 Now, when Hugo Barra says they are going to take huge step forward in India, it has to mean something. This was put up on Sunday morning. 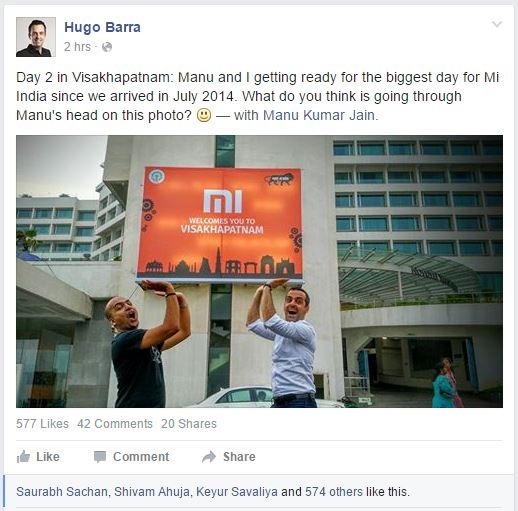 To reaffirm that something big is coming up, earlier today he put up another update – again reiterating that “this is the biggest day for Mi India since we arrived in July 2014”. Check out this update. So, can you guess what is it going to be? Xiaomi Mi Manufacturing Facility in India? If we had to guess, it would be that Xiaomi will announce their local manufacturing in India in the city of Vishakhapatnam. Given that everywhere they are saying “Mi Welcomes You to Vishakhapatnam” means they definitely are setting up something in this city. We will wait and see what it is. And if it is not manufacturing facility, then it may be announcement of Redmi 2 Prime which may have a tag “Made in India”. It may also be that Mi TV, which is widely expected to be launched in India this year, may be landing in port city of Vishakhapatnam.